Comment: RE: The so-called 800 numbers (inquiring reader and your reprint on the subject) that WF will humbly bestow on the great OOM and other “special” people. This nonsense has graduated to a cult status, ruining lives, families, health, finances and friendships and more. In my opinion, if WF was a socially responsible member of society, they would encourage and aid the investigative authorities by PUBLICLY, repeat PUBLICLY at their top level, refuting their direct involvement in this, or at least with certain privileged Gurus. WHAT?!!! Today’s millionaires aren’t feeling very wealthy! Well the hack gurus were wrong again with their “intel” and about the RV happening – I hope none of my regular readers have been loosing sleep waiting for that elusive Iraqi Dinar to finally revalue! Today I happened across this interesting article about perception of wealth, and hopefully someday “soon” all of us who own IQD will finally get our chance to call ourselves “wealthy”. Maybe this article will help you to become just a little more educated as to wealth, and the perception of being wealthy! 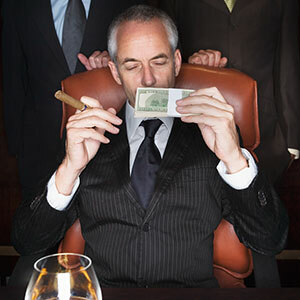 What constitutes wealth in the U.S. these days? It depends on the context. If you’re talking about wealth in relation to the minimum wage, billionaire Charles Koch assures America that the path to riches requires a mere $34,000 a year. If we’re discussing wealth in the Western, above-the-paupers sense, then even $4 million doesn’t seem to cut it. The UBS (UBS -0.57%) Investor Watch asked 4,450 investors whether they consider themselves wealthy.According to CNBC, 60% of those worth $5 million or more said they are indeed wealthy, while only 28% of those worth between $1 million and $5 million said the same. HUNDREDS OF PEOPLE EVERY DAY VISIT MrIQD.COM!!! Hello friends of Mr. IQD who are active in our Skype “Anti Hack Guru” Room, there was some discussion about how the Hack Gurus kick people out of their forums for questioning their (garbage) “intel”. I mentioned that is one of the main reasons I created MrIQD.com was to create a viable place for YOU to sound your voice and protests against these con artists and hack gurus who have infiltrated our good Dinarian community and are lieing to people about their (garbage) “intel” and also others like Brad Huebner who flat out stole from Dinarians! RUDY IS NOW CONVICTED!!! “Fake Hedge Funds” REMEMBER RUDY COHEN AND BH GROUP??? REMEMBER THEIR ‘HEDGE FUNDS’ FOR DINARIANS??? WELL, WE WARNED THE DINAR COMMUNITY NEARLY A YEAR AGO ABOUT THEM, AND WE SAID THEN THAT WE DIDN’T BELIEVE THEIR ‘HEDGE FUNDS’ WERE LEGIT…. SO, TO ALL THOSE WHO “BASH” MR. IQD FOR BEING TOO HARSH ON THE GURUS – TOO BAD YOU DIDN’T LISTEN!!! WE WERE CORRECT!!!! THE HEDGE FUNDS WERE BOGUS!!! PEOPLE GOT RIPPED OFF – AND WE TRIED OUR BEST TO WARN YOU!!! P.S. After the Article below about Rudy’s Conviction – I post related links to my earlier warnings, including the first article posted May 2, 2012! CONVICTED!!! Rudy Coenen – ripped off Dinarians! A Jacksonville man pleaded guilty Thursday in an Ohio federal court to a scheme to defraud investors in the sale of Iraqi dinar currency and two non-existent hedge funds, authorities said. CRASH!!! Brad Huebner and Breitling's "LDHL Pump & Dump" Apparent Scheme Harming Dinarians!!! Well, for those of you who didn’t see our warnings back on July 16, 2012 – when we first noticed that BH Group was pumping Dinarians on their Penny Stock (scheme) LDHL and we told members to not touch it with a ten-foot pole – well, since those character’s humiliating Indictment for phony Hedge Fund Schemes – the LDHL penny stock started crashing!!! Today, according to Yahoo Finance it closed less than half its high at a meager $0.53 / share. We are not your Financial Planner, so we obviously can’t advise you to buy or sell securities, but we will let you make that obvious decision on LDHL before you lose everything (in our opinion). P.S. Do you think that those hacks Proteus and Patriot are reading this now – maybe we’ll hear about it on their call…. Now where is their phone number… Humm, must have misplaced it… Well, forget it, why waste our time anyways – we can go brush up on our phony “rum-intel” and fake “gag orders” on Dinar Guru and that only takes 3 to 5 minutes…. LOL!! !